New Countertops and backsplash; and of course the new cabinets. 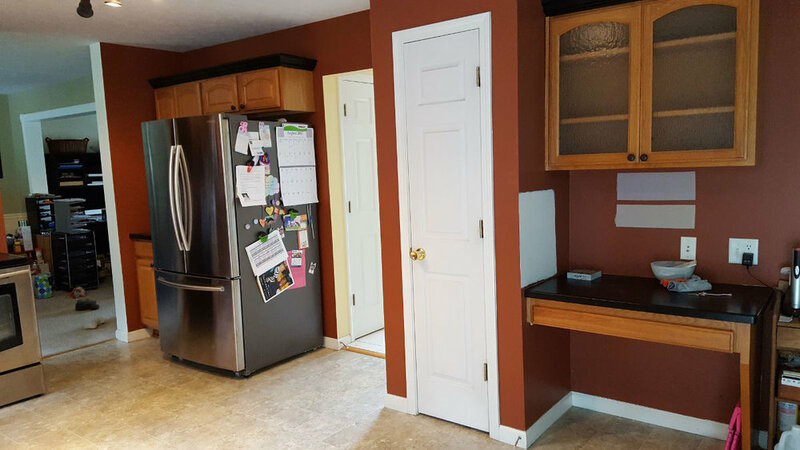 After - Pantry turned into standing cabinet; countertop lengthened; cabinets enlarged, while keeping the glass-front cabinet design in place. How would you like that for a kitchen workstation?